During my career, one of most challenging and enlightening positions I held was leading real estate development for a destination resort and spa; Canyon Ranch Resorts. When the customer has no contractual commitment to you beyond a night, operationally a hotel must deliver at the highest level every day or guests vote with their feet to a competitor and tell five people that the experience was subpar. Canyon Ranch, like most resorts, sought to please people every moment of every day. Our customers commonly arrived tired, stressed with a relatively low emotional capacity for uncertainty or missed expectations. Our resort had a remarkable reputation for personal transformation. People arrived with the anticipation that their lives would be forever changed, and we delivered 90% of the time. I led the organization’s expansion and was responsible for transferring the brand’s promise into new projects. I spent time with nearly every practitioner on property, namely the 25 doctors and PhDs, to feel their passion for healing and learn about their craft always with deep curiosity. This experience highlighted the power of having a vision and purpose (i.e. for success) then seeing the change in our guests in just a few days. My tenure creating environments at the resort taught me that spaces can motivate people, energize, inspire and heal them, just as much as it can weaken. And having a focus on customer success and the entire experience, is a propellant to enterprise value. Amazon became one the world’s most valuable companies by removing the friction in consumer transactions and becoming obsessively customer-centric. Its organizational focus required a major leadership shift; unlearning industry norms. And there are huge opportunities in commercial real estate with the unlearning of long held norms, given how much our customer needs have changed; our customers crave a more inspiring, responsive, scalable product. There are huge opportunities in commercial real estate with the unlearning of long held norms. Now as CEO of EQ Office, Blackstone’s operating platform for US office investments, I’m responsible for a team of people managing more than 42 million square feet of commercial space across the county. We are responsible for helping motivate and inspire a lot of this country’s work force, directly and indirectly. And as owners of commercial office space, we have historically benefited from longer lease commitments, driving property teams to focus on asset performance before customer needs. Admittedly, owners differentiate properties by their metrics of efficiency (i.e. price, load factors, etc.) and a building’s image (e.g. monumental lobbies and the number of amenity “features”). Yet today’s companies seek space to build a brand, inspire talent and drive innovation; seeking effectiveness before efficiency. These fuzzy metrics are unfamiliar to real estate owners. Change isn’t easy for any industry that continues to make a lot of money by repeating past patterns as disruptive innovation is nearly impossible for industry stalwarts. Today, the traditional leasing process remains a struggle for everyone — first, for the customer with its lack of transparency, uncertainty and inflexibility, and second, for owners who compete with discounts (i.e. concessions) to convince customers to consume traditional leases when they present huge risks to a business that needs scalability. 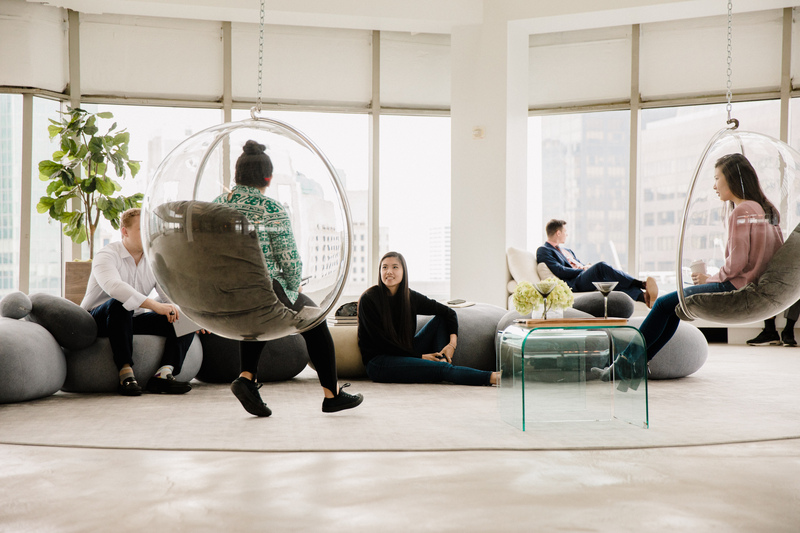 This tension has fueled the explosion of the flex office market, including names like WeWork, Industrious, and Regus. These flex providers buy office space in bulk and resell a standardized product inserting various levels of energy offering the space on shorter terms, creating enormous value for the reseller and its customers. 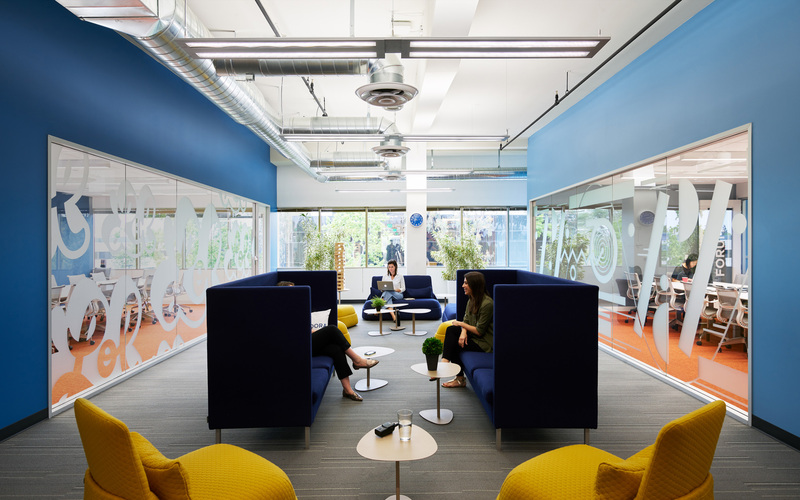 The workplace continues evolving for every business with rapid shifts in technology, mobility and customer expectations. As a result, we’ve never seen change happened this fast before, and it will never be this slow again. The adoption of technology and the drive to compete will forever shape what we as people need at work to be successful, shaping what companies need to thrive. We’ve never seen change happen this fast, and it will never be this slow again. Energy — Create space that has surprise, consistency and change; while providing places to regulate volume, having places to retreat. We all need choices of connection, collaboration, and concentration to be our best selves. If we fail to create optionality for people, our effectiveness declines. Humanity –Create space that values and empowers people. 1. Scale — design spaces that are scaled to human proportions. Walt Disney was the master of the “forced perspective.” On Disneyland’s main street, Walt built the scale of the buildings so upper stories had reduced scale, so the street felt further away, and children could feel in command. 2.Habitat — humans crave nature. We need options for light and air; mostly the chance to interact with the outside via big windows, rolling doors, decks, outdoor rooms. Community –Creating venues for autonomous collections, or community spaces where we can be alone together. I do wish I created that term, but it surfaced in a riff session with a dear friend who works for tech giant. And it’s a bit of a statement of what is desired for our widely connected world; places where thinkers, creators, leaders relax, so they can engage, play, and learn from others while sharing knowledge at every level both formally and informally. Today’s companies seek space to build a brand, inspire talent and drive innovation; seeking effectiveness before efficiency. The traditional real estate owner has little experience delivering in this changed environment. Over the past 20 years of developing large complex urban projects, including destination resort spas, I watch humans flock (and pay a premium) for space that’s flexible, adaptable and coherent. We realize that our customer and our own organization is changing rapidly. Being a successful partner to our market is creating fixed and flexible office products that promote stability and adaptability for the organizations we serve.